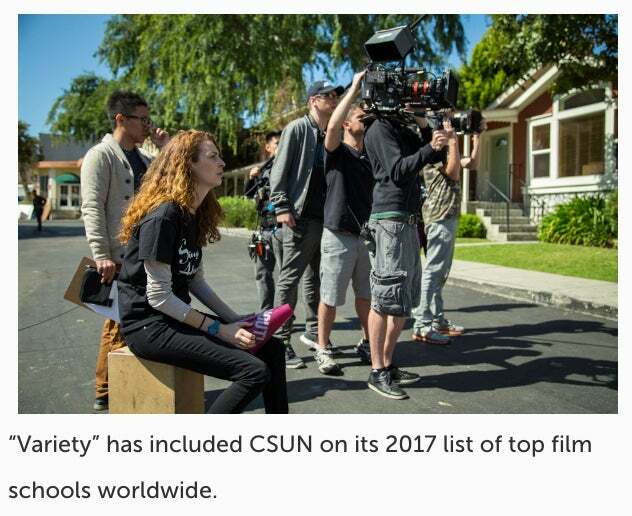 California State University, Northridge has been ranked among the top 30 film schools worldwide in Variety’s April 25 issue. The entertainment trade magazine listed CSUN’s Department of Cinema and Television Arts as one of 2017’s “Stellar Film Schools.” The elite group also included the University of Southern California, the University of California, Los Angeles, the London Film School and New York University, among other prestigious institutions. The publication featured CSUN on similar lists in 2015 and 2016, and “The Hollywood Reporter” has included the university on its lists of best film schools in previous years. Jon Stahl, chair of the Department of Cinema and Television Arts, said he is honored to see CSUN’s merits receive consistent acknowledgment. The department offers undergraduate programs focusing on entertainment media management, film production, media theory and criticism, multimedia production, screenwriting and television production, as well as a Master of Fine Arts in screenwriting program. Stahl attributed the department’s accolades to its highly qualified faculty and ambitious students. “Our inclusion [on ‘Variety’’s list] is a testament to the fantastic work that our faculty does,” he said. “We have award-winning directors, writers, producers, cinematographers, editors and sound specialists who bring professional experience and great wisdom to our students, and that enables them to do the fantastic work they’ve been creating. Stahl said one of the keys to CSUN’s “growing reputation as a great film and television school” lies in the department’s flexibility. The faculty constantly adapt their curricula to include the latest developments and technology, which recently have included virtual and augmented-reality devices, he said. CSUN’s Department of Cinema and Television Arts, housed in the Mike Curb College of Arts, Media, and Communication, has an international reputation for producing dedicated and talented entertainment industry professionals who recognize the value of hard work as they learn and continue to perfect their crafts. The department’s alumni work in all aspects of entertainment media, from writing, producing and directing to manning cameras and having the final say in which projects are made.